Always get a little down at this time of the year as it’s such a dull time in the garden so I’ve decided to plant something to give me a much needed inspiration … and what better than Sweet Peas ! 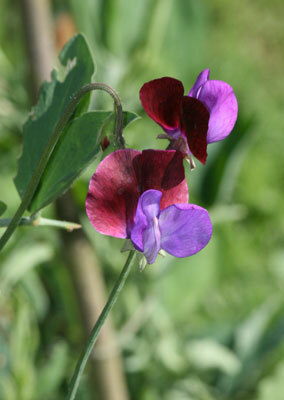 I can’t think of any flower that is so quintessentially English than the Sweet Pea. We’ve been growing them for the last 20 years and they really are easy .. providing you don’t plant out to early as they will be hit by even the faintest of frosts and remember they hate drying out so plenty of well rotted compost into the planting holes. One other thing I’m going to try this year is to soak the seeds in water overnight as the packet suggests, which apparently helps the seeds to germinate . 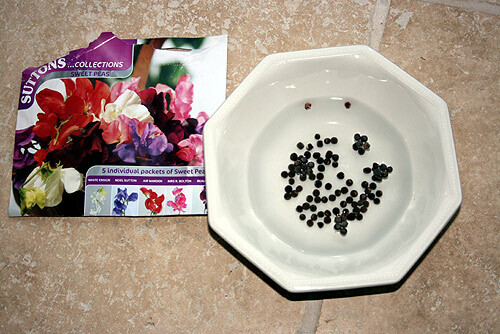 After that I’ll plant them in some John Innes seed compost and keep an eye out for how many germinate.